Based on 7496 customer ratings. 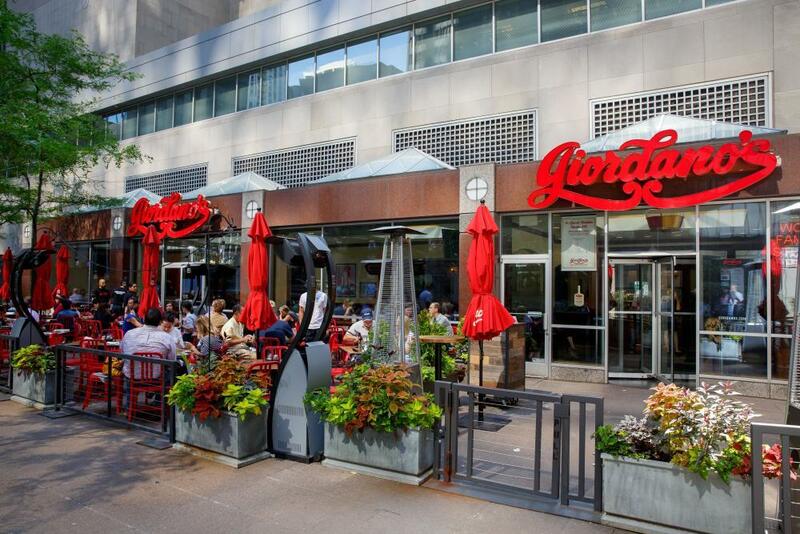 You’ll love the atmosphere at Giordano’s! Stop by our restaurant, enjoy a drink from our full bar and relax in the dining room or on the patio. You can also order online and take advantage of convenient pickup or delivery options. Prudential Plaza. The Art Institute. Aon Center and The Bean. When it comes to famous Chicago institutions, the attractions near Millennium Park are second to none — and when you’re looking for the best Chicago-style pizza in town, no place can beat Giordano’s! Our Prudential Plaza location is convenient to popular neighborhood landmarks such as the Harris Theatre, the Metra Train Station and the Millennium Park Plaza Hotel. Don’t settle for second best. Come experience Giordano’s instead! Giordano’s Is Not Just Pizza Go to any pizza place in town, and you’ll find so-so pies made with so-so skills. Take one mouthwatering bite of a Giordano’s stuffed double-crust pie, and you’ll see why we’ve been the best pizza place in Chicago since 1974! It takes six artisans to layer each pizza we make with the most flavorful ingredients. Our pies feature the fluffiest mozzarella — made exclusively for us on a small Wisconsin farm — and the ripest, reddest tomatoes, tenderly placed alongside the richest meats and vegetables. Discover our slow-baked pies and see for yourself why Giordano’s is the best pizza delivery and restaurant in Chicago! Giordano’s is more than just a restaurant, and our menu is more than just pizza. Check out our selections of the heartiest Italian sandwiches, the freshest salads, savory pastas and zesty appetizers! If you’re going gluten-free, we have mouthwatering options for you, too!